Despite decades of outrage over sweatshops and slave labor, the problems in the global supply chains remain. Oddly, in an age of global cosmopolitanism, “corporate social responsibility” campaigns, and technocratic regulations, we haven’t evolved out of medieval labor practices like enslavement and child labor. But could technology hold the key to cleaning up the global supply chain? The tech-driven research organization Verité has been working on tools for both consumers and industry policy-makers to improve corporate accountability in the supply chain, and provide the public with a global view of the root causes of exploitation and abuse. Verité’s latest project, Know the Chain (KTC), a collaboration of a coalition of human-rights NGOs, connects industry supply-chain data with policy changes aimed at curbing corporate abuse. In addition to assessing different global industries, including food and beverage, electronics, apparel and footwear, KTC scores individual companies according to benchmarks for progress. By any measure, the results are grim. 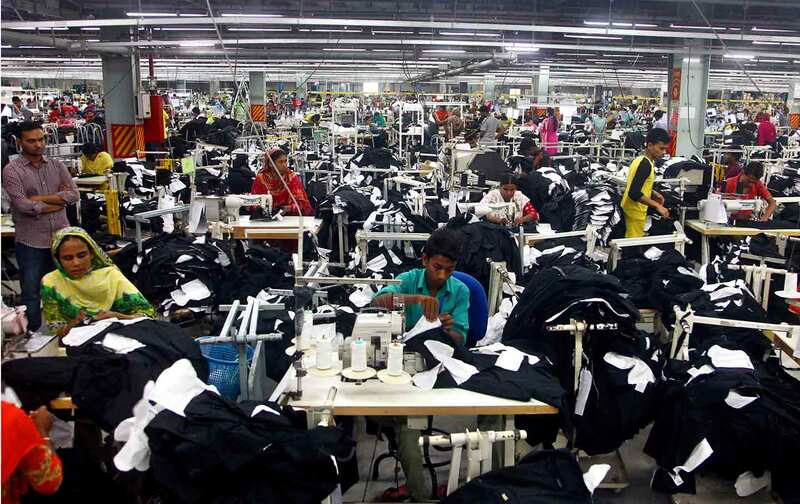 Apparel scored 46 on a scale of 100 on various criteria for labor-rights standards, showing little transparency or accountability on issues like forced labor and trafficking. Information and communications technology scored 39 percent, followed by food and beverage at just 30 points. Though data alone are no solution, traceability itself can be a tool for understanding root causes and developing realistic accountability standards. For average shoppers, Verité’s digital mapping breaks down complex global structures to elucidate how everyday brands practice their ethics, or fail to do so. This includes fashion labels that have proven relatively sensitive to public scrutiny over “sweatshop labor” and human-rights campaigns. Verité’s data shed light primarily on what we don’t acknowledge—including a systematic lack of worker voices in controlling labor conditions. KTC notes that “engaging and empowering workers is crucial” for addressing everyday labor violations in under-regulated factories. But parent companies tend to offer only the appearance of encouraging worker representation, while doing little to invest in protecting real freedom of association. This enables contractors overseas to readily gain stamps of approval for workplace conditions that are monitored only through periodic inspections by a management-approved third-party auditor, as opposed to listening to a shop steward’s independent reports. In many supply chains it has proven nearly impossible to trace exactly where a product’s components originate, despite standards claimed in corporate codes of conduct. For example, apparel giant H&M, with the stated aim of “promoting systemic change in entire countries and our industry,” seeks to achieve “100 percent traceability in its cotton supply chain” by 2020. Yet, with some 1.6 million workers across more than 800 suppliers worldwide, a fundamental challenge is understanding what transparency even means in such a vast system. Despite the lack of available data and inconsistency of corporate reporting, open reporting and data mapping of these industries provide a baseline for civil society to set benchmarks for reform. A first step would simply be communicating human-rights policies to workers in their native languages, which facilitates community education and labor-rights training at the grassroots. To that end, Verité has also partnered with community and labor groups to train workers on how to exercise their rights at work independently, so that they can monitor their workplaces when corporate auditors can’t. Beyond providing community education, KTC argues that in regions with weak labor regulation workplaces can establish alternative mechanisms for labor negotiation. Worker-advocacy groups can foster solidarity and communicate directly with the multinational parent company independently of the supplier company. The UK-based Primark brand, for example, has worked with the Tamil Nadu–based NGO SAVE to launch community-based worker-empowerment groups, which “educate workers on their rights and the use of negotiation tactics with management,” while offering workers a grievance mechanism fielded through local representatives. Independently, groups like Workers Rights Consortium and International Labor Rights Forum help link grassroots activist networks with unions to support autonomous labor movements in the Global South. The most comprehensive instruments of accountability remains government, international regulatory bodies, and public institutions. The United States and Europe have made moderate progress on the issue through “fair procurement” policies that ban the import of taxpayer-funded products that are shown to involve child labor and other violations. Congress recently enacted the Tariffs Act, banning the imports of products linked to forced labor. Universities and some local governments have implemented similar policies to keep taxpayer-funded purchases “sweatshop free.” Nonetheless, many of these policies are simply guidelines, not binding rules. Similarly, International Labor Organization labor standards should prevent supply-chain abuses, but, as the United Nations body has no enforcement power, compliance rests on the industry’s willingness. For consumers and civil-society groups, data can illuminate a fuller picture of how deeply industries are failing to follow basic human-rights principles, even as they sop up billions in profits from us. And with such complex structural economic issues at stake, it becomes clear that the private sector can’t police itself.